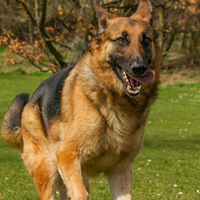 AMK9 maintains the highest standard of K9 services. And our commitment to providing exceptional quality extends beyond our services to our working dogs, training, staff, and facilities. 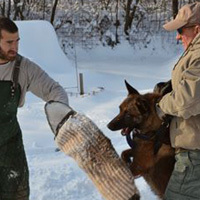 Our K-9s are purpose-bred and hand-selected before being brought to AMK9 in Moyock, NC for training. 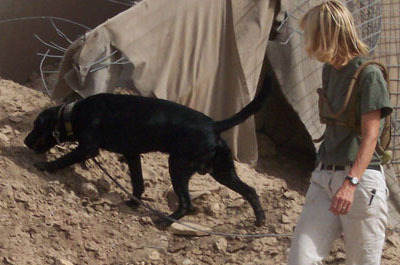 During selection, evaluation of each working dog’s drive is a critical part of our process. We select dogs with high energy and an extreme hunt drive; a dog that is independent and not easily distracted, one who is focused yet brings a sense of urgency to the hunt. When training our dogs for drug or bomb detection, we only use real odors. Once the initial search patterns are mastered, additional substances are introduced. Throughout the training, the dogs are introduced to various building scenarios and a variety of vehicles. Ultimately, each K-9 we sell will leave with well-developed search patterns to prepare them for workability in the field. 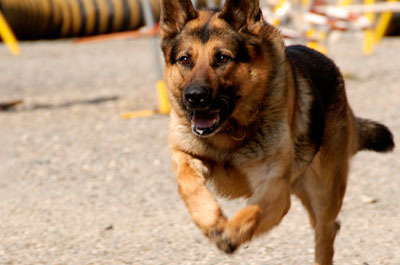 AMK9 offers a variety of K9 Team services to fit the security needs of your specific venue or existing security program. We realize that each location, event, and security program is different. Our expert leadership can advise and tailor working dog services to fit the needs of your specific organization. AMK9 is currently offering K-9 Team services overseas and at home, with clients that range from major cruise lines, to sports teams, to the brave men and women protecting our freedoms in the Middle East. 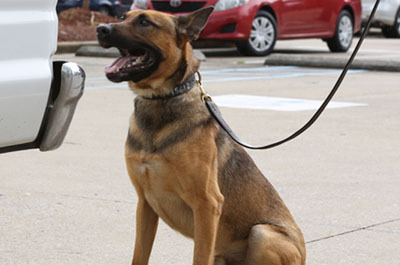 See our full list of K9 Detection Team services, and find out how AMK9 can work for you! Not just one of our core values. AMK9 was founded on the three core values of Honesty, Integrity, & Excellence. Our commitment to these values remains true today. Whether training our canines or deploying certified teams across the globe, we strive for excellence in all we do. This commitment, applied accross our proven track record, is what makes us the Leader in K9 Detection.